In short, you claims regarding the superiority of natural immunity require a world without vaccination. Ultimately one must make up his/her own mind based on the pros & cons, sometimes natural immunity is very difficult to obtain. Personally, would not immunise against such diseases as chicken pox or get the flu shot (didn't get the flu shot this year & was better for it- probably wont get it again). I found in the last 18 months (due to stress reduction/more exercise/better diet/better general lifestyle etc. ), I have not got sick; no flu for me this year etc. (& I work in what would be considered a highly contagious environment as far as viruses/BUGS are concerned- normally get the flu 4-5 x per year even after getting flu shot every year). Would I bother with the MMR Vaccine- answer, NO (I already got natural immunity so I guess there's is no point of it for me- the disease in childhood was minor for me & my siblings, & the MMR vaccine as I already pointed out, is fairly ineffective anyways). Would I get vaccinated against other viruses such as Hepatitis- YES (had my shots many years ago- they (the shots), seemed to be working or could be the standard precautions). Last edited by Stario; October 22, 2018 at 10:26 AM. More importantly, my claim is that natural immunity is far superior to immunity gained from vaccination; the former being much more protective, long lasting as well as transferable between mother and infant. With "vaccination immunity", in this case I might be protected against pertussis for 5 years or so (could not even be that much), after this period I am vulnerable again and pose the same risk to the community as any non-immunised individual, and whats more vaccination immunity is not transferable from mother to infant. This is sufficient grounds against mandatory vaccination, my right to choose to be naturally protected for a lifetime (depending study), instead of at best 4-6 years (depending on study), which immunity from vaccination offers. Lastly, this doesn't stop at the individual, in the long run "natural heard immunity" is far more beneficial to the community than "heard immunity" from vaccination. Indeed, my position quite clear. Even more worrying signs when BIG PHARMA like Merck get caught with their pants down for falsifying data on their MMR vaccine. If the vaccine does not even prevent the diseases it is supposed to, how can it be mandated to be given to children!? "When discussing Merck vaccine fraud, it must also be mentioned that the U.S. government has a huge conflict of interest, as it profits from the sale of vaccines". Such as former CDC Director Dr. Gerberding, who sold shares of Merck Stock for $2.3 Million. Last edited by Stario; October 26, 2018 at 08:00 AM. Smells like pseudo science to me. Vaccines work, it's been proven over and over again. The Lancet that World Flu Day had four major purposes: to commemorate the centenary of the 1918–19 influenza pandemic; to raise public awareness of influenza; to accelerate scientific innovation and basic research efforts toward remaining challenges of influenza, particularly the development of a universal flu vaccine; and to push for stronger global political will in continuing the support of influenza prevention and control. The severity of this influenza season highlights the importance of public health measures to control and prevent influenza. Annual influenza vaccination remains the most effective way to prevent influenza illness. In fact, there is a "science" of anti-scientific thinking. Trump is an anti-vaxxer. He treats foreign policy with the same ignorance and misplaced confidence he brings to vaccine science. ...This may seem totally disconnected from Trump’s shameful press conference with Russian President Vladimir Putin on Monday, but it isn’t. In fact, it’s vital to understanding Trump’s dangerous foreign policy. In both cases, the same specific kind of ignorance — a complete disinterest in understanding why things are the way they are — is leading Trump to advocate potentially deadly positions. Last edited by Ludicus; November 09, 2018 at 11:52 AM. Smells like 'BAD' science when pharmaceuticals are falsifying data on the effectiveness of their vaccines. ...An outbreak north of the city in Rockland county led to authorities banning unvaccinated children from indoor public spaces last month, while opening special clinics to offer the jab. The whole anti-vaccination movement in the US isn't a partisan left vs right thing, it's a partisan left and right thing. I saw it gain traction among the ritual purity level every thing must be natural left in Seattle, and was surprised to find out later how much it had been embraced by the conspiracy theory right. I think the commonality is both believe the corporations/deep state are out to get them. When health officials learned that the 2015 measles outbreak was caused by clusters of unvaccinated children, Americans once more wanted to understand why some parents do not vaccinate their children. In our highly polarized culture, media commentators and even academics began to connect opposition to vaccination to either the left or right of politics. So a question arises: Who is more likely to be opposed to vaccination, liberals or conservatives? As a sociologist who studies infectious disease, I took a look at this. The answer seems to depend on what question you ask. Because the outbreak started in the wealthy, liberal enclave of Marin County, California, and because some of the best-known “anti-vaxxers” are Hollywood actors, some right-leaning media outlets connected opposition to vaccination to liberals and related it to other “anti-science” beliefs like fear of GMOs, use of alternative medicine, and even astrology. Other writers have opposed such a caricature and have argued that opposition to vaccination is actually either bipartisan or a specifically conservative problem. Academic research on the topic is also conflicted. While historians have shown that there is a long history of opposition to vaccination in America, the contemporary anti-vaccination movement got its major boost in 1998 when Andrew Wakefield published faulty research in The Lancet that falsely claimed that the mumps, measles and rubella (MMR) vaccine was related to autism. 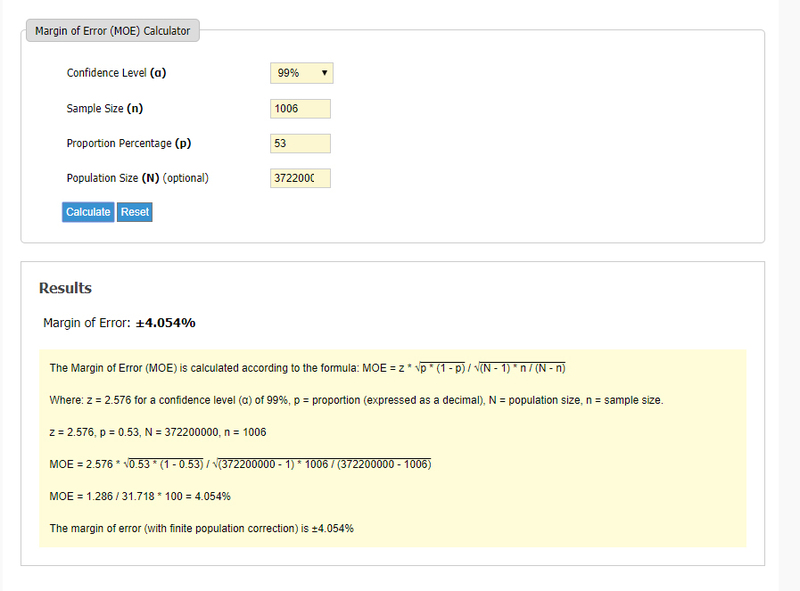 To examine this issue, I used a statistical technique called logistic regression that allows you to examine how the probability of a certain outcome will change depending on the characteristics of a survey respondent. I used it to examine whether someone is more or less likely to think that (a) vaccines are unsafe and (b) that vaccination should be a parent’s choice depending on what political beliefs they hold. He also found there are more on the right who believe vaccines are safe, but that it should still be the parents choice. I'm sorry to disappoint you, sumskilz. PLoS One. 2018; 13(1): e0191728. In light of the increasing refusal of some parents to vaccinate children, public health strategies have focused on increasing knowledge and awareness based on a “knowledge-deficit” approach. However, decisions about vaccination are based on more than mere knowledge of risks, costs, and benefits. Individual decision making about vaccinating involves many other factors including those related to emotion, culture, religion, and socio-political context. In this paper, we use a nationally representative internet survey in the U.S. to investigate socio-political characteristics to assess attitudes about vaccination. In particular, we consider how political ideology and trust affect opinions about vaccinations for flu, pertussis, and measles. Our findings demonstrate that ideology has a direct effect on vaccine attitudes. In particular, conservative respondents are less likely to express pro-vaccination beliefs than other individuals. Furthermore, ideology also has an indirect effect on immunization propensity. The ideology variable predicts an indicator capturing trust in government medical experts, which in turn helps to explain individual-level variation with regards to attitudes about vaccine choice. The far-right/right wing is conservative, reactionary,anti-scientific.It's the hard truth.Right wing nationalists are all climate change deniers, science deniers. Here, there and everywhere. Last edited by Ludicus; April 11, 2019 at 07:34 PM. According to their analysis, the direct effect of “ideology” on pro-vaccination attitudes is -0.10. One can assume they mean conservative ideology based on their discussion points elsewhere, but they don’t explicitly say so (that’s bad editing and/or peer review in my opinion). An effect size of -0.10 translates into a correlation of -0.05. This is in a survey that can’t have a margin of error any better than +/-3%. Another way to visualize this is that the median point of the bell curve of conservative anti-vaccination attitudes (according to this survey) is at the 54th percentile mark of the liberal bell curve. Again, keep in mind the margin of error. Should one be making generalizations about a broad group of people based on a 0.05 correlation? Consider that commonly held racial stereotypes have a 0.36 to 0.69 correlation to reality, while commonly held gender stereotypes have a 0.40 to 0.60 correlation to reality. In any case, further politicizing the issue won’t have a positive effect if the goal is to get people to vaccinate their kids. A slightly more robust finding of theirs is the 0.09 correlation between “ideology” and trust in government medical experts. It’s interesting, because there is no effect on trust in family health care providers. The effect isn’t large, but considering it in any large scale strategy could make a difference. I think these researchers didn't find anything particularly meaningful statistically because they were looking at ideology too broadly. They need to have been looking at particular political subsets, not just going by asking people "How conservative or liberal do you consider yourself?" If they looked at a higher resolution, I suspect they would have found essentially what I quoted in my last post. EDIT: A note regarding my comments about stereotype correlations above. Many commonly held racial stereotypes have a 0.53 to 0.93 correlation to reality at the group level. Many commonly held gender stereotypes have a 0.34 to 0.98 correlation to reality at the group level. These numbers are different than above, because they reflect the accuracy of the stereotype in people's minds quantitatively, rather than how much the stereotype accurately predicts a particular individual's characteristics. If you believe that conservatives are no more likely to be anti-vaccination than liberals are, then according to their results, this belief has a 0.95 correlation to reality. Last edited by sumskilz; April 12, 2019 at 07:18 AM. ...because they were looking at ideology too broadly. Last edited by Ludicus; April 12, 2019 at 07:25 AM. There's no need to change the subject, each of the ends of political spectrum are resistant to scientific evidence on different topics. What makes the vaccination thing somewhat unique is that it isn't particularly associated with one end of the political spectrum more than the other. According to the data in the study you just posted, this is a perfectly accurate statement on my part. If you were to take an extreme view and claim that anti-vaccination beliefs are completely right wing, then according to the study you just posted, your view would have only a 5% correlation with reality. If your view is anything along those lines, then you are arguing against the evidence. Last edited by sumskilz; April 12, 2019 at 07:42 AM. Not at all. What makes the vaccination thing somewhat unique is the fact that ideology has a direct effect on vaccine attitudes. When it comes to the right and vaccines, do you want more evidence? - just read the TWCenter threads. Come on, there are always exceptions.Usually, the common pattern of the right wing vaccine deniers is to criticize the scientific approach as a whole. ...if your view is anything along those lines, then you are arguing against the evidence. Our findings demonstrate that ideology has a direct effect on vaccine attitudes. In particular, conservative respondents are lesslikely to express pro-vaccination beliefs than other individuals. Furthermore,ideology also has an indirect effect on immunization propensity. You should write a letter to the authors, explaining how wrong they are. Right wing populists/Anti Vaxxers are on the rise in countries such as Italy, Poland and France where the far right has made gains. political ideology is linked not only to estimates of the harms and benefits pertaining to childhood vaccination but also to judgments of others’ beliefs and opinions about this important matter. In Who Fears the HPV Vaccine, Who Doesn’t, and Why? An Experimental Study of the Mechanisms of Cultural Cognition - Link: 2009 paper, the conservative ideological values of "hierarchy" and "individualism" were both linked to greater opposition to the HPV vaccine in particular. Last edited by Ludicus; April 12, 2019 at 11:06 AM. Amusingly, that flow chart you just referenced to support your claim doesn't show a direct relationship. It does however show that conservatism predicts acceptance of vaccines (effect size 0.27). Was that what you were trying to show? That conservatives are more accepting of vaccinations? They aren't arguing against themselves, they are highlighting their barely statistically significant findings, because otherwise they would have nothing to publish, and if you want to be cynical, saying the right things to get attention. It's good however that they did publish, because if only significant results are published, various fields of study develop a file drawer problem that can lead to erroneous results in meta-analyses. If you don't look at or don't understand the math, you'll continue be susceptible to all sorts of distortions. I'll try to explain what their data means in one more way before giving up on it. If you guessed that someone was conservative because they had anti-vaccination views, then you would be guessing correctly 52% of the time. If you just flipped a coin to decide whether they were conservative or not, you would be correct 50%. Being right 2% better than chance isn't very predictive. In fact it falls within the margin of error of their sample size, and thus may not be predictive at all. 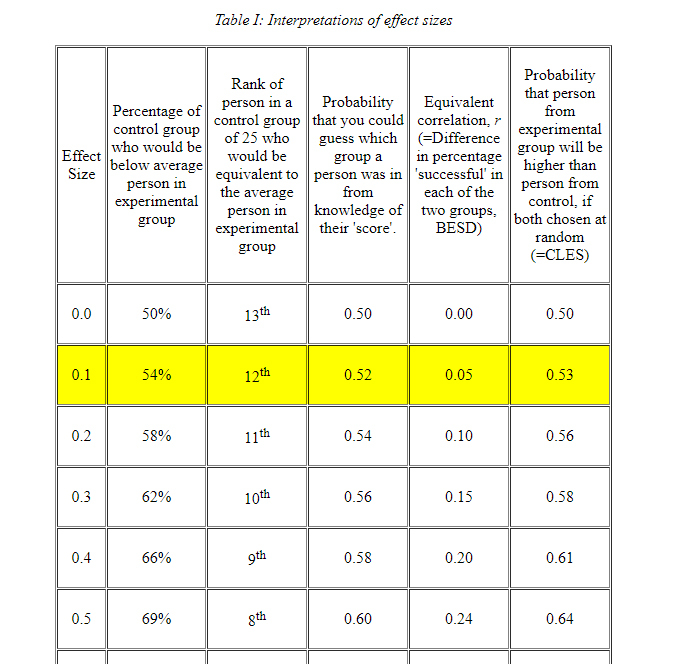 See Table I: Interpretations of effect sizes, and consider it in light of the fact that the direct effect size of ideology was 0.1 in their data. I've posted that here before, it's a good example of why politicization of this topic would be a mistake. Assuming the highest priority is just getting parents to vaccinate their kids, you're being part of the problem. barely statistically significant findings, because otherwise they would have nothing to publish you want to be cynical, saying the right things to get attention. Don't make me laugh. They are saying the right things, it's not a leftist conspiracy. In fact, the conservatism acceptance of vaccines is low. As Baumgaertner et alt has shown, in his study results suggest a person's ideology directly impacts who they trust, a person with strong conservative political views is less likely to vaccinate than a person with strong liberal political views. To summarize the main empirical findings, this study shows that public trust in science has not declined since the 1970s except among conservatives and those who frequently attend church. And don't change the subject with "assuming that the highest priority is just getting parents to vaccinate"... dismissing the truth makes you part of the problem, not me. There is a whole body showing low levels of the conservative public confidence in vaccines (eg. some links in the previous posts). There are a number of cultural factors that contribute to negative vaccination attitudes, and they include anti-authoritarian worldviews and political identities.Vaccine skepticism is a problem for conservatives, not for liberals. Handbooks distributed in some Jewish communities in New York as well as messages in hotlines, contradict the scientific consensus that vaccines are safe and highly effective. Is it a religious belief, a religious thing? probably not. the Orthodox Union "strongly urges all parents to vaccinate their healthy children on the timetable recommended by their pediatricians". It's the conservative, reactionary mind in action. I don't even need scientific papers to show the right-wing reactionary mind in action. we asked respondents to place themselves on a five-point scale ranging from “very liberal” to “very conservative.” About 9.9 percent of respondents self-identified as “very liberal”, 17.5 percent as “liberal”, 41.4 percent as “moderate”, 21.6 percent as “conservative”, and 9.6 percent as “very conservative.” […] the overall effect of ideology is not only statistically significant but also substantively meaningful. […] Our findings corroborate analyses that show that the intent to vaccinate differs among conservatives and liberals with conservatives expressing less intent to vaccinate. 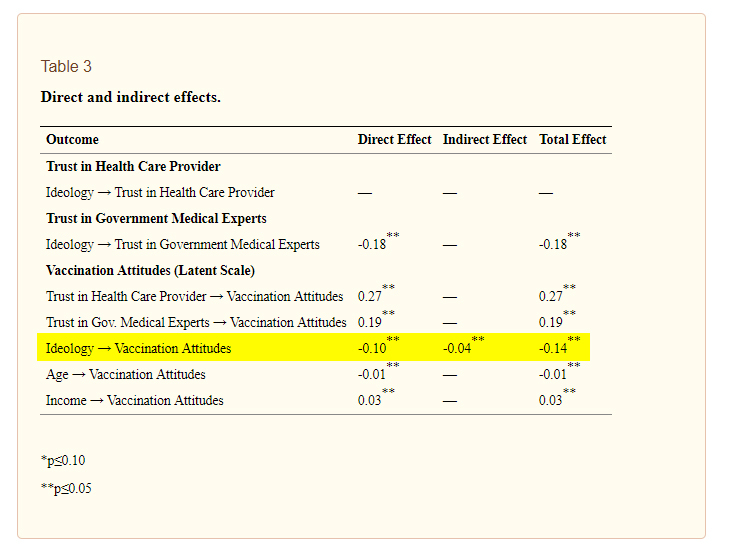 Similarly, those with lower levels of trust in government medical experts are also less likely to express intent to vaccinate, and these individuals also tend to be conservative. is quite enlightening: the states in question skew to conservative beliefs. Also, looking at the top 10 counties for NMEs, all but one are in Idaho, a very red state. Last edited by Ludicus; April 12, 2019 at 04:58 PM. Maybe there is a way I can spell this out better, for nothing else, at least those following along might get something out of it. According to their results, a conservative person is 3% more likely than average to be anti-vaccination. This means their result may not be generalizable to the population at large. But assuming that it is, data that suggests that a conservative is 3% more likely to be anti-vaccination than a liberal doesn't make it a left vs right issue. You're also ignoring the fact that you posted another study that found that conservatism predicted being pro-vaccination with more than twice the effect size (0.27). Last edited by sumskilz; April 12, 2019 at 07:24 PM. ...doesn't make it a left vs right issue. Come on, sumskilz.It's hard to deny that the right wing anti-vaxxing movement represents a serious epidemiological threat. You said that I'm being of the problem. Well, considering that fact that you voted for a candidate who uses the war on science as a political weapon, what's your personal stance on the subject? Climate change denial is strongly linked to right wing ethno-nationalism, and surges in measles cases map tightly to countries/regions where right wing populism is on the march. 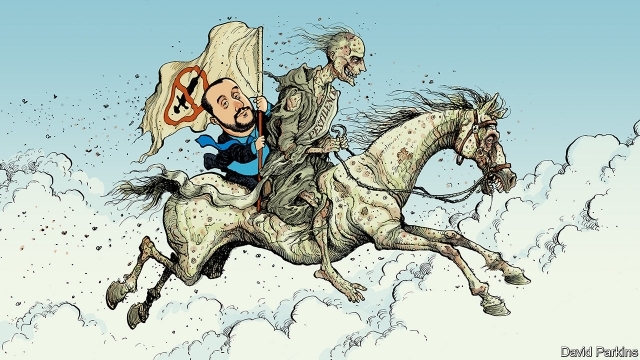 The Five Star Movement in Italy have raised concerns about vaccine safety; in France, the Front National have raised concerns about the laws that make childhood vaccinations mandatory and vaccine safety. Marie Le Pen says that nobody can be sure of the long-term safety of multiple vaccines, and the same applies to Donald Trump. In Poland there is an "anti-systemic" party, Kukiz 15, similar to Italy's M5S, and the percentage of vaccinated children is falling. Around the world, right wing populists are suspicious and hostile to medical institutions and science. Unfortunately, the antivaccine movement has had success linking “vaccine choice” with “freedom” and “parental rights”, leading to a surge of right wing antivaccine activism that has undermined that bipartisan consensus... and bills like HB 4425/6 and SB 299/300 are the result. .... thus, over the last five years or so, the loudest voices in the antivaccine movement have increasingly tended to come from the right, not the left, such that vaccine policy even featured prominently in the second Republican debate, largely thanks to Donald Trump’s long history of antivaccine rhetoric and the increasing alignment with antivaccine groups with Tea Party and right wing political groups.... . Antivaxers were further energized when it was revealed that Donald Trump had met with disgraced British antivaccine gastroenterologist Andrew Wakefield in August and then again when he met with antivaccine activist Robert F. Kennedy, Jr. in January, allegedly about a vaccine safety commission. Unfortunately, antivaccine activists have become very good at conflating the “freedom” to refuse vaccines with “freedom.” Worse, they are fringe no longer, and vaccine policy is being politicized in a way that it has never been before. Indeed, a couple of months ago, The Washington Post published an article, “Trump energizes the anti-vaccine movement in Texas“, and it’s not just in Texas where they’re being energized. ..Unfortunately, the situation around the country is like that in Texas, where the antivaccine groups outgun pro-vaccine groups in terms of funding and activism. Unless we can reverse this situation, the antivaccine movement will succeed in making measles great again, not to mention several other vaccine-preventable diseases. In fact, if you are skeptical about vaccines than chances are you voted for a populist political movement. Vaccine scepticism grows in line with rise of populism. The attempt to abolish compulsory vaccinations, which is supported by right-wing populists, shows that the anti-Enlightenment and anti-Western shift in the public sphere in Eastern Europe can also affect the area of health protection. Western pharmaceutical concerns may be the same target of populist attacks as refugees and migrants. In Europe, populist parties predominantly come from the right (e.g. Front National, AfD, UKIP). There is a highly significant positive association between the percentage of people in a country who voted for populist parties and who believe that vaccines are not important (R = 0.7923, P = 0.007) and effective (R = 0.7222, P = 0.0035). The study examined national-level data from 14 European countries. This data included the percentage of people in a country who voted for populist parties in the 2014 European Parliament elections, and the percentage of people in a country who believe that vaccines are not important, safe and/or effective, according to data from the 2015 Vaccine Confidence Project. Back to the topic Bill Gates announced $12 million funding for the creation of a universal flu vaccine, but he comes from behind. According to a BiondVax Pharmaceuticals,( Ness Ziona, Israel) media release, updated data from the M-001 universal flu vaccine pivotal phase 3 trial study will be presented at the Influenza Vaccines for the World conference 2019. As they say, "getting closer to the market". Last edited by Ludicus; April 14, 2019 at 03:06 PM.